Moscow restaurants offer fresh seafood and wild fish all year round, but often these proposals do not correspond to reality, because catch of such fish is seasonal in nature. The popular red fish is no exception. Red fish is one of the most popular in cooking. It includes representatives of sturgeon (sturgeon, sterlet, stellate sturgeon, beluga, thorn sturgeon) and salmon (salmon, salmon, pink salmon, chinook salmon, coho salmon, trout, calico salmon, sockeye salmon and others). The season of red fish began in May and will last until the end of September. It is during this period in restaurants and shops you can buy the freshest sturgeon and salmon. This fish is rich in various vitamins and minerals. High content of phosphorus, iodine, calcium, fluorine, vitamins E, B, PP, A and many others favorably affect joints, strengthen bones, improve memory, and also reduce the risk of hypertension and cancer. And polyunsaturated omega-3 acids nourish cells and prolong youth. To eat fresh red fish and charge your body with vitamins do not necessarily go to the Far East. The "Dream Fish" restaurant, which is located in the historical building of the XIX Century "Association of Peter Smirnov" in the very center of Moscow on Baltschug Island, offers its guests a unique author's menu from the famous chef Sang Keun Ouch. The concept in each dish focuses on food. So, Sakhalin smelt gets a unique fresh "cucumber" taste, and the chinook, prepared with the help of special French techniques, has a balanced taste and juicy consistency. 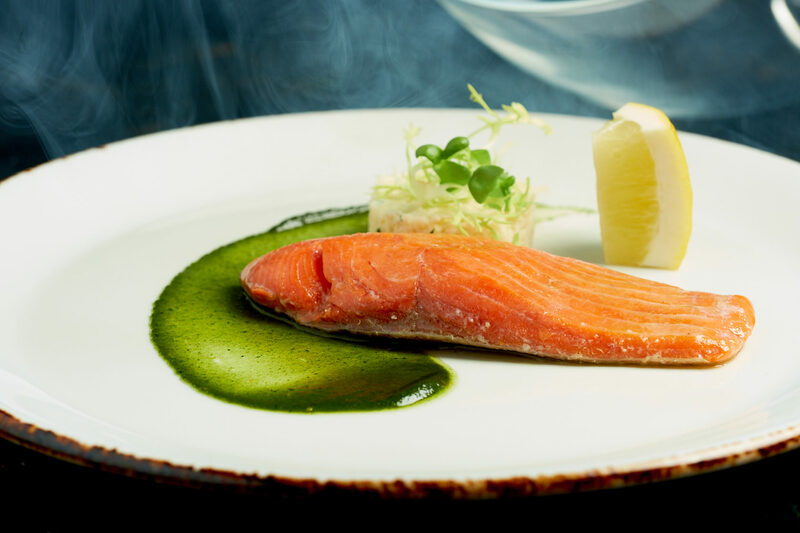 Among the dishes is also worth noting smoked sockeye salad with celery salad, chicken cutlets with tender sauce tartar and carpaccio of sockeye salmon cooked with exquisite sauce ponzu from truffles and vinegar. For the preparation of these dishes only ship wild fish are used, which is delivered to the restaurant without intermediaries directly from the Far East. Have time to try the dishes from seasonal fish in the "Dream Fish" restaurant at the address: 57, Sadovnicheskaya Street, building 1. Reservation of tables by reference http://dreamfish.moscow/reservation/ or by phone +7 (495) 127-08-88.